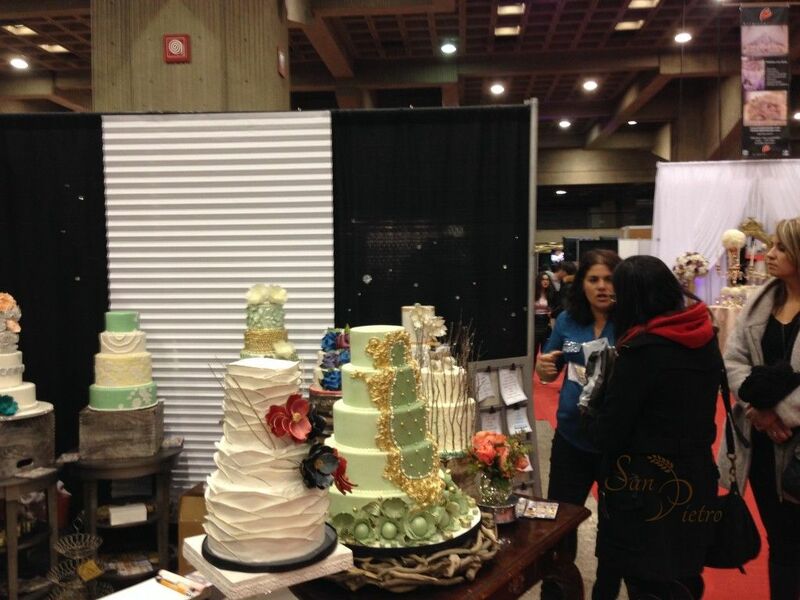 We are back from spending last weekend at the Montreal Marion-nous wedding show. We had an amazing time, we met some really great people. If you have ever done a bridal show, they can seem daunting. 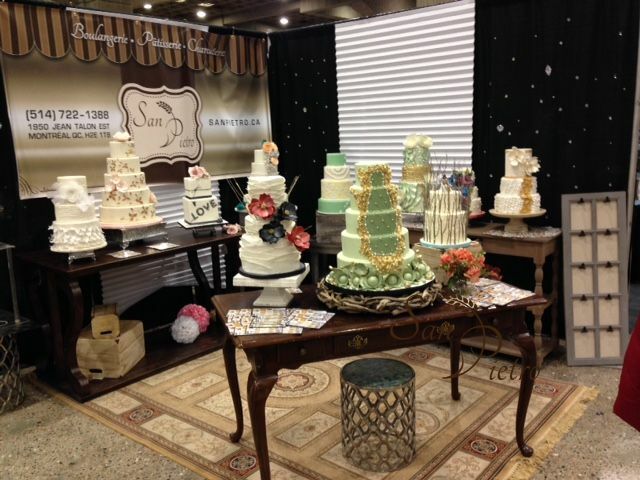 At least in our area, we have 2 big bridal shows, one in September and one in January. 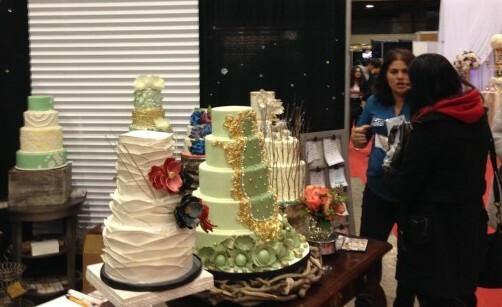 There’s always more people (vendors and brides) at the January show. 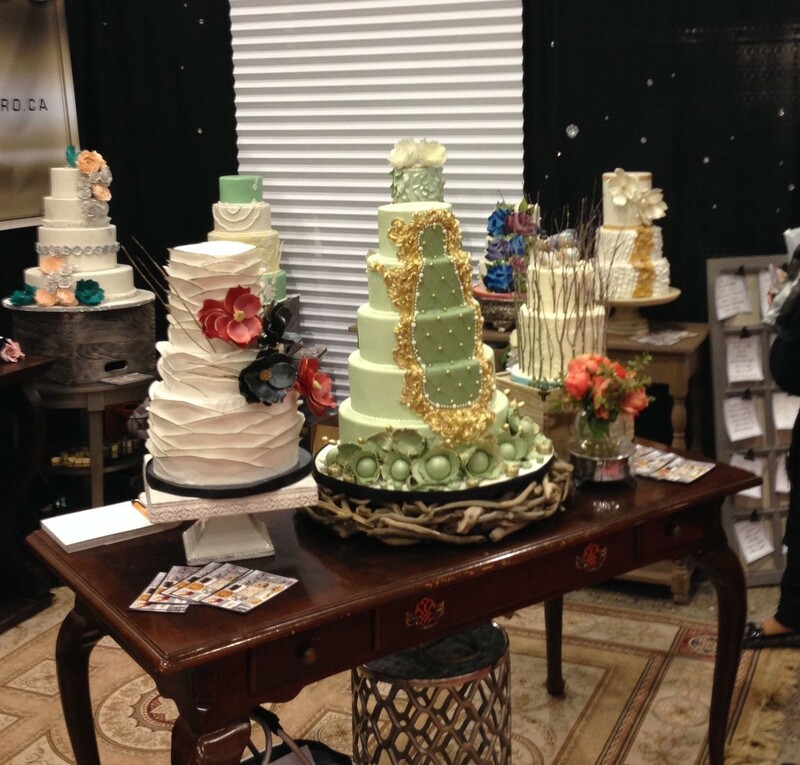 I went to a bridal show (as guests with my current husband) before we did our first show, year ago. Walk around and look at booths, especially the ones that are in our industry. Take notes and/or pictures as you walk around… this is required homework! We want to thank everyone who helped us prepare for this show, we believe it was a complete success for us, and we hope to be a part of the show next year. For those who couldn’t come see us at our booth here are a few photos of our set up. Our back drop was a huge success! It was nice to just chat with couples. Now, what should you bring to the booth? Being in the cake business, you have to show that your cakes look good and that they taste good, and above all look spectacular! 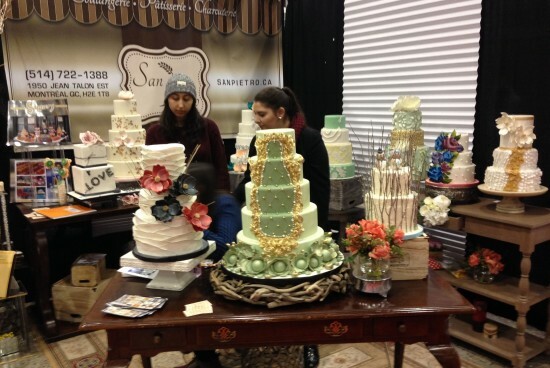 These cakes are styrofoam cakes, but believe me, they are equally just as complex to create as the real-thing! There’s no shortcuts or magic! We had Sugary put some sweet treats at the corner of our booth with photos! They make amazing candy displays! Yummy! The most important thing to bring to the show???? Is your passion… No matter how many questions were asked I loved answering every single one of them.. Meeting the soon to be’s was sooo such fun and I love hearing there fresh ideas. What imagination they have today with such creativity…it was so nice to be part of their brainstorming ideas.. i would love to get married all over again…with the same husband of course!!! !